Looking for more affordable family vacation? Camping can be the perfect fit for low priced vacation. No matter what, whether you choose national forests or camping grounds in state parks camping will be a memorable family getaway. 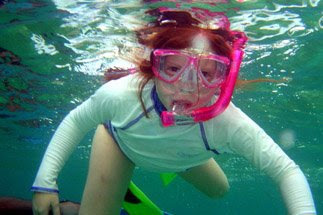 One may choose several methods and way while planning camping outing, but most families prefer the free style camping. When I say free style camping that means just get a tent and let the fun ball rolling. Comparing the cost of RV parks or camp site with lots of amenities against the cost of free style camping accessories shopping; the cost is minimal with free style camping. Free style camping needs accessories such as tents, sleeping bags and other camping travel gear for your vacation; the cost is minimal. Also, amenities at camp site will not let you enjoy the real camping experience. Camping free style gives you a chance to spend time together with family and friends. You can have fun conversation & singing around the campfire, enjoy the mother nature in wide open and these all activities you can do staying away from usual routine life. Camping combines fun, excitement, adventure including a rare experience of getting close to each other while you are on family trip. As mentioned earlier, you'll need to purchase the basic camp equipment such as a tent, preferably one that will house the whole family, food, a cooler, ice, sleeping bags, camping stove, as well as the following items: pillows, cleaning supplies, folding table, cookware, utensils, cups, and toilet paper (especially if there are no restrooms around), first aid kit, and board games, fishing gear, flashlights, and extra batteries. for all future similar family vacation trips. In addition, now that you have the basic supplies, you can always supplement your gear with additional things, which you might need for the next camping vacation. You can easily check online websites to find a campsite in your state, as well as the low cost for staying in a national park or forest reserve. Today's busy life has made hard to have some quality time with family together. Camping vacation gives a chance to bring family closer without any distraction to tighten the love bond unique way. Whether mom or dad takes kids for fishing or hiking and one of them can have their leisure time alone. Or may be everyone goes together for adventure activities. Trust me; camping reunites the family unique way than any other type of getaway trip. Last but not the least; do not forget to carry your camera along with extra batteries to capture all those laughter and memories which you will be able to share over the coming years. I strongly recommend camping for family vacation if you are looking for affordable vacation all together. Leo S, expert of the Family Vacations Deals & Planning tips guide, prooves that you don't have to be "RELUCTANT" for Budget family vacation. Leo also invites you to get advantage of Travel Tips Blog at Grab2Travel.com to help you save money & time with useful tips!